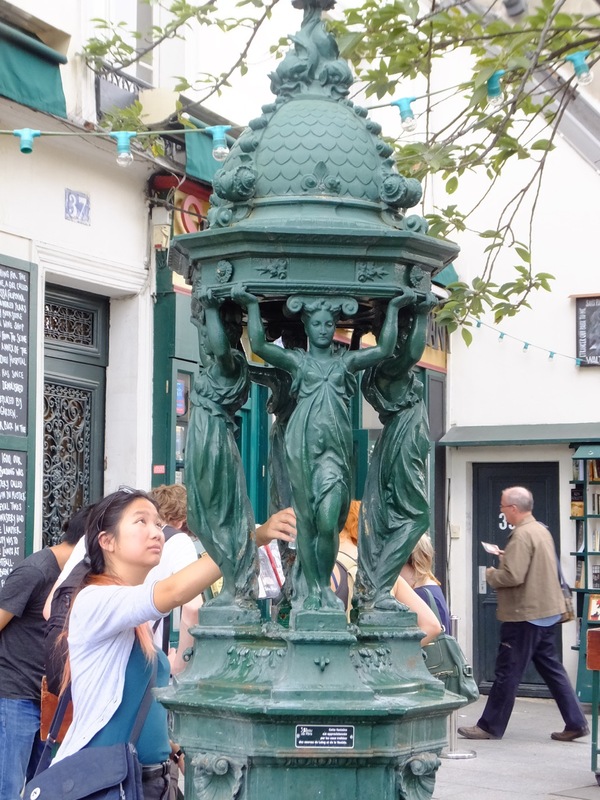 I found this version of the famous Wallace fountains in Paris, a week ago — on the Left Bank of the Seine, just across the river from Notre Dame Cathedral, in a small public space in front of a remarkable bookstore called The Shakespeare Company, a place that Alister Hughes would have loved. This version of the fountain has a thin stream of running water in the center, which tourists use to refill their water bottles — there is a sign by the fountain saying that the water is potable. Read the story of Alister and Margaret Hughes saving the GRENADA Wallace Fountain at <http://www.grenada-history.org/fountain.htm>.